Of the many advantages conferred by wealth, perhaps the greatest of all is access. Wealth allows you to see and savour things that most can only dream of. At least, that’s the theory. In reality, gaining access is rarely easy. It takes time and effort to figure out where to go, what to do, and what to wear while doing it. And opening the door to it all—that requires even more. The truth is, access to the best of the best is often a closely guarded secret, with “members only” being not just a sign on a door, but a world view. Sarment, a Singapore-based tech start-up, wants to make the process of getting in on a good thing a little less difficult. The six-year-old company has created an online curated “ecosystem” serving high net worth individuals around the world. Members can use the Keyyes app to open the door to a world of much-sought-after reservations, exclusive collections, and artists and craftspeople. The company’s Keyyes app (pun duly noted) is billed as a luxury lifestyle club. However, it’s better to think of it as a kind of passcode that members can use to open the door to a world of much-sought-after reservations, exclusive collections, and artists and craftspeople across several lifestyle categories, including dining, bars, art, wine, automotive, and more. Through its live chat feature, you can talk to company advisers, who function as guides and ambassadors to the world’s best. Over time, the system’s AI customizes its content according to user preferences, making it not only a key, but a curator and a concierge as well. A key can be a powerful tool—for those on both sides of the door. And so it is with Keyyes, particularly for up-and-coming luxury brands trying to break into the minds and wallets of the world’s well heeled. 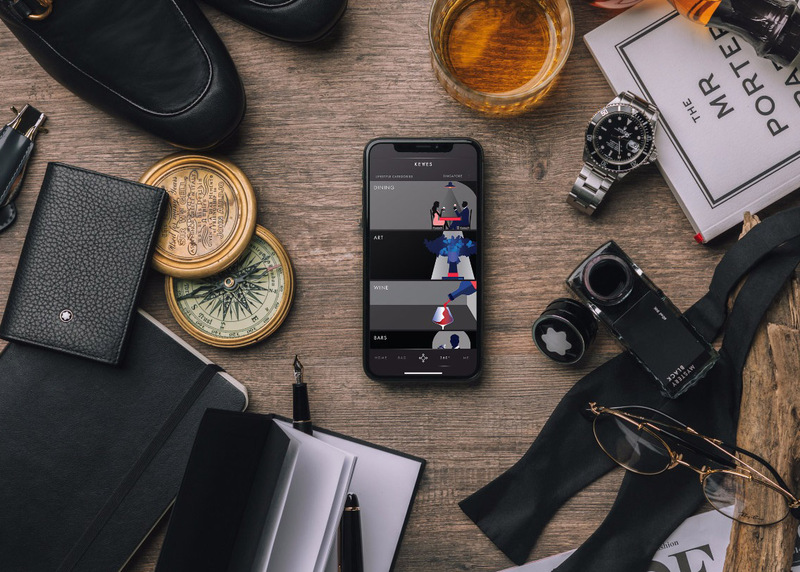 The link between consumer and company has always been a critical part of luxury branding, and in this sense, Keyyes functions in the same way that Platinum, Sapphire, and other ultrapremium credit cards do, giving consumer and brand an opportunity to interact. While the app itself is available to anyone, membership is currently available by invitation only. In North America, Keyyes services are only available in Toronto, but the company has plans to expand its footprint, targeting other cosmopolitan centres.